Well, we’re in October now and that means two things: it’s the season of Halloween candy and pumpkin spice…lattes, muffins, cookies—I even saw a recipe for pumpkin-spice breakfast pastries the other day! But guess what, these items may taste good, but many of them are actually toxic and can kill you. These food items will be unavoidable over the next few weeks. Since last Thursday, my grocery store has been displaying Halloween candy in multiple aisles—and it’s selling fast. But let me tell you something, it’s not because an influx of kids have moved into my neighborhood, it’s because people are taking them home, eating them, then coming back for more. 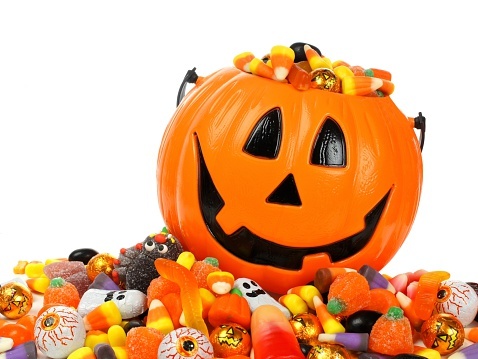 Food companies spend big money marketing sugar, and October gives them even more opportunity to push their business. Kellogg’s spent $32.0 million in 2014 to advertise “Pop-Tarts” alone. And if you’re unaware, Kellogg’s is a major processed food manufacturer with a vast product line—many of which are packed with added sugar. At the end of the day, it’s very hard for you to avoid the toxic sugar onslaught. There is so much money behind it that it’s really all you see when you walk through a grocery store or turn on your television. But what you might not know is that these companies are being subsidized by the federal government. More than 50% of government agricultural subsidies from the U.S. Department of Agriculture (USDA) goes toward growing crops to feed animals for food purposes, as well as sugar production and turning corn into high-fructose corn syrup. Sugar and high-fructose corn syrup (HFCS) are extremely toxic ingredients that lead to conditions like type 2 diabetes, obesity, heart disease, and high cholesterol. But what about fruits and vegetables? The USDA surely subsidizes them, too? Slightly. According to the USDA, fruits and vegetables are classified as “specialty crops” and receive less than half of one percent of agricultural subsidies. This is interesting, considering they are the only foods the government encourages you to eat more of. Ever wonder why local produce is so hard to find and nearly every fruit or vegetable comes from another country? It’s because only planted land in the U.S. goes to producing fruits and vegetables (not counting corn used to make HFCS and animal feed). The government, just like the grocery store and food manufacturers, is in the business of selling you poison. There’s an election coming up and none of the leaders are talking about this. There are a number of local food co-ops and groups that farm healthy food for communities around the country. Finding one close by and supporting it is a great way to encourage locally grown food and farming. You can also make your voice heard in the political arena. Get a group together to talk to politicians campaigning close by and tell them how important this issue is—and how the health of the nation depends on some serious legislative change to how we prioritize food manufacturing. Hamblin, J., “The Money Spent Selling Sugar to Americans Is Staggering,” The Atlantic web site, September 27, 2015; http://www.theatlantic.com/health/archive/2015/09/the-money-spent-selling-sugar-to-americans-is-staggering/407350/.